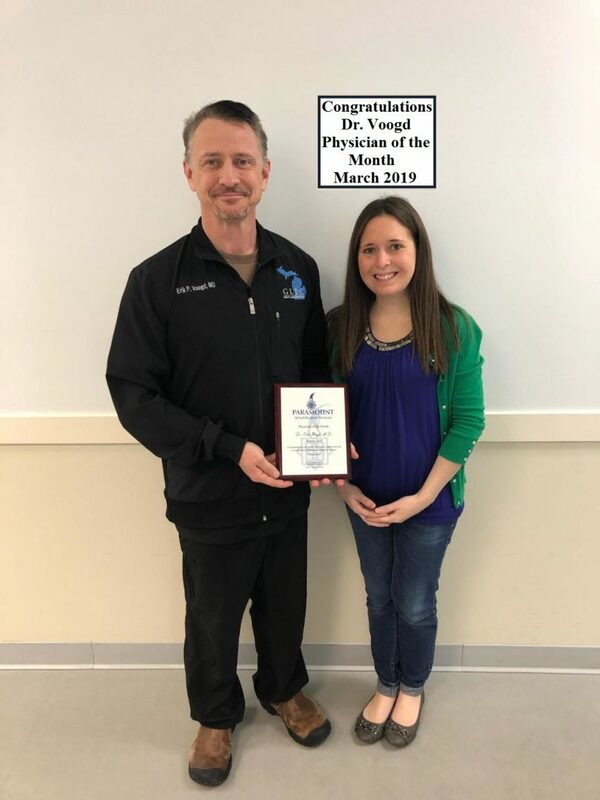 Physician of the Month March 2019!! Congratulations Dr. Erik Voogd, MD!! Dr. Voogd was nominated by our staff and our mutual patients for his tireless dedication to pain management and his promotion of physical therapy as a means of recovery. Dr. Voogd always has the patient is the number one priority attitude that he has come to be known for in Bay City. Paramount Rehabilitation Services is proud to have Dr. Voogd as part of our referral team.